Kids travel: Meet a family who are permanently travelling around the world. How two parents are travelling around the world with kids - without quitting their jobs. For most families, the thought of going on an international holiday with a young family is riddled with anxiety. What if you forget a child’s passport? Are the asthma puffers expired? 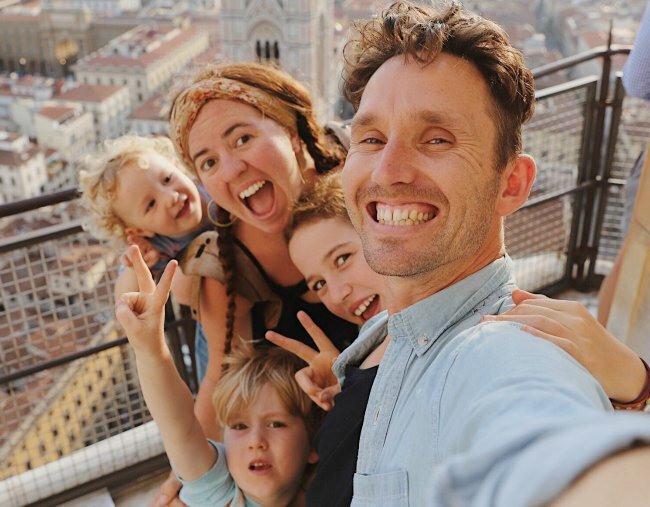 But for Melbourne based family the Coopers, travelling the world with their family of five is now their everyday normal, as they run their online clothing business. "Travelling the world with their family of five is now their everyday normal." Image: Supplied. "We&apos;ve travelled a lot, me and Joel in the past 15 years, we&apos;ve been to probably 18 countries with children. It wasn&apos;t a giant career change for us, more of a natural progression," says Rachel Cooper on the This Glorious Mess podcast. "It wasn&apos;t a giant career change for us, more of a natural progression." Image: Supplied. "Our ultimate was to be able to travel around the world with children, run our business from our laptop and soak in different cultures and different environments," she added. The trip took twelve months to plan, as the family shut their physical store, packed up their house and prepared for the trip of a lifetime. "The trip took twelve months to plan." Image: Supplied. "We are not on a holiday, we are living on the road, this is our home at the moment and home is really important to us, our kids are real home bodies, we&apos;re able to create little homes as we go and we are absolutely still working as we go," says Rachel. While many parents worry moving their kids will remove structure, Rachel says the kids love it. 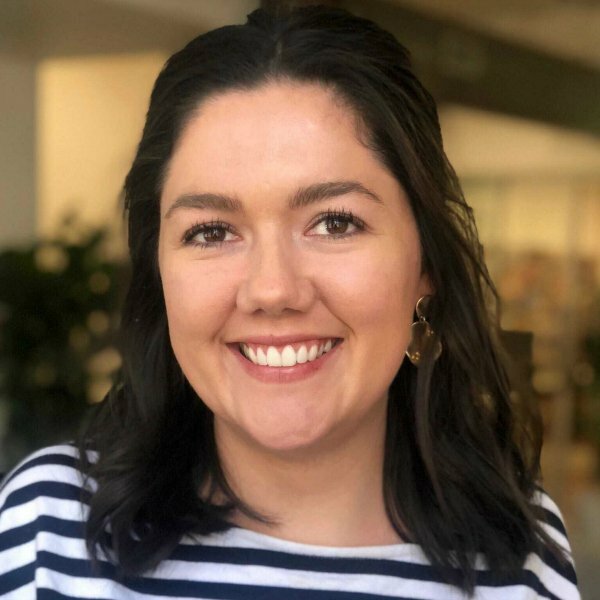 "We don&apos;t give kids the credit they deserve, they are far more nomadic than we give them credit for, often the stability we think we&apos;re giving them is more for us," she added. "Rachel says the kids love it." Image: Supplied. Rachel and Joel Cooper have rituals on the road that helps them to create a sense of rhythm and security for their kids during the trip. "Kids need routine, they need rhythm, they need security, they need all those things to be able to flourish, but for us we always look at what our kids need as far as those things go, it&apos;s more like &apos;they need their parents, they need love, they need a relationship with their brothers and sisters, they need a few little things that are familiar&apos;," says Rachel. "Rachel and Joel Cooper have rituals on the road that helps them to create a sense of rhythm and security for their kids." Image: Supplied. Another detail that helps to create a sense of security is making home cooked meals. "That&apos;s one thing that has been a priority for us as far as making the home environment for the kids," says Rachel. But how does it work? For the Coopers, there are travel days and grounded days. While travel days are blocked out purely for travel, the grounded days consist of long walks and adventures, with business and home schooling in between. "[Joel and I] sit down the night before and look at where the business is at and what&apos;s on our immediate to do list and that sort of thing," says Rachel. "The grounded days consist of long walks and adventures." Image: Supplied. When it comes to home-schooling, Rachel says the family are pretty flexible, but focus on Maths and English. "What we&apos;ve done is taken a little bit more of a relaxed approach, we&apos;ve always got English and Maths on the go and we work with workbooks with those subjects and then when we&apos;re in Florence we&apos;re learning about the cathedral in Florence and we&apos;re talking about the history of that," she adds. "Rachel says the family are pretty flexible, but focus on Maths and English." Image: Supplied. So far, the Coopers have done two months in Indonesia, a month in China, two weeks in Vietnam, a cross-over in Singapore and three months in Europe. They will next be visiting the United Kingdom, followed by the United States and Canada. Asked whether she had any advice for people wanting to travel with kids, Rachel suggests homes over hotels, and one final piece of advice. "Rachel suggests homes over hotels." Image: Supplied. "Pick one place and do it well, so many people can&apos;t just drop everything and travel for a year, if you can, do it, so many trips that I&apos;ve been on I&apos;ve come home expecting the whole world to have changed and it just hasn&apos;t," says Rachel. "We have had the most amazing experiences travelling with children, we have been open to so many new experiences purely because we have them with us." Listen to more about Joel and Rachel Cooper on This Glorious Mess.